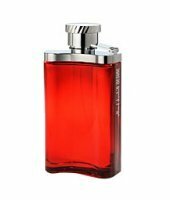 Captured in a handsome flask-shaped bottle, the scent of Dunhill Desire is distinctive, sensual and seductive. The fragrance features top notes of bergamot, lime, neroli and apple. Its middle notes tease the senses with patchouli, rose and teak wood. Finally, its base notes excite with a blend of vanilla, musk and labdanum.